The Thematic client portal is available at https://client.getthematic.com. 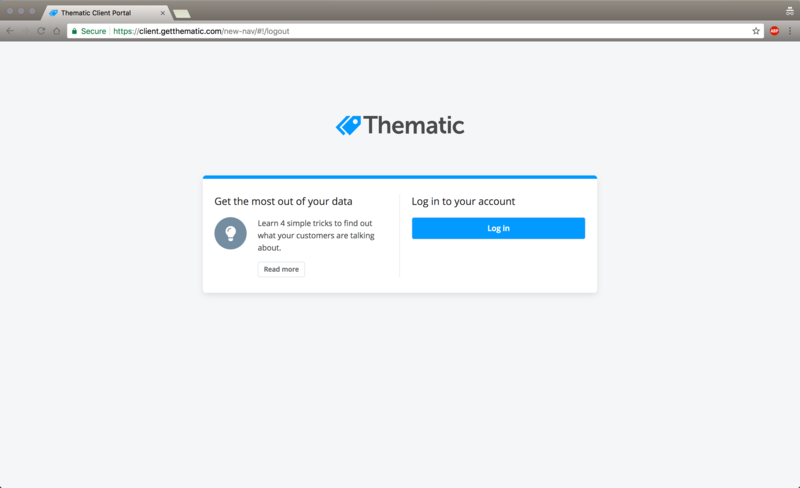 Thematic will never ask you to leave the website and you can upload and download your data from the site. You can bookmark the login page for future access. 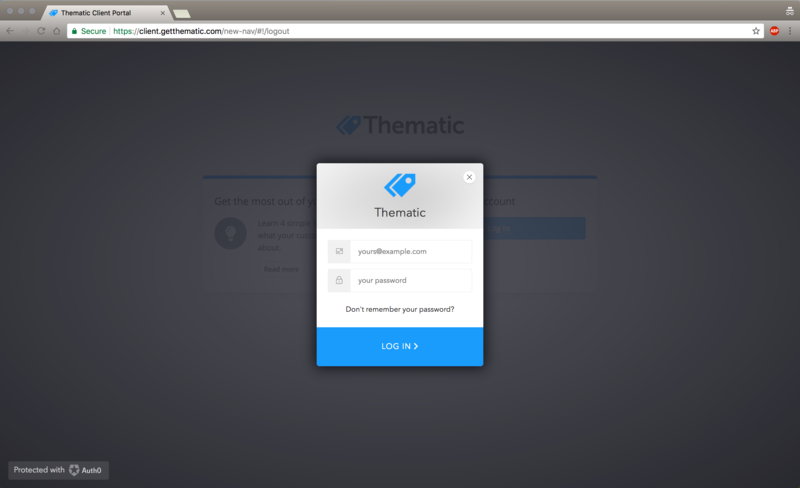 Thematic requires a single login which is created when you accept an invitation email sent by an administrator.